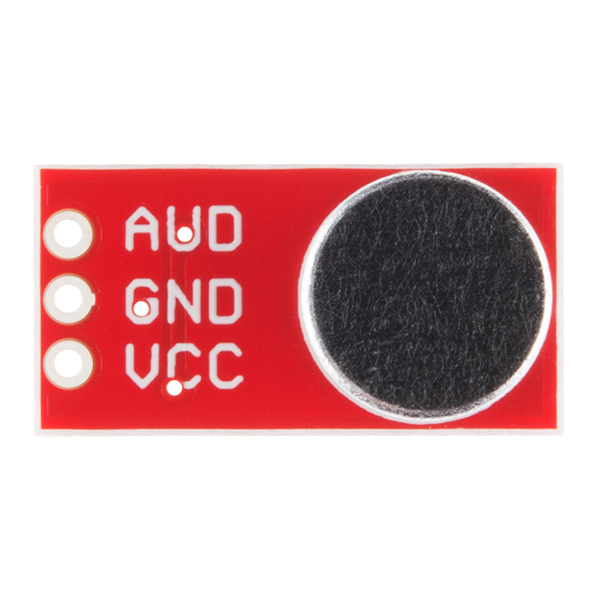 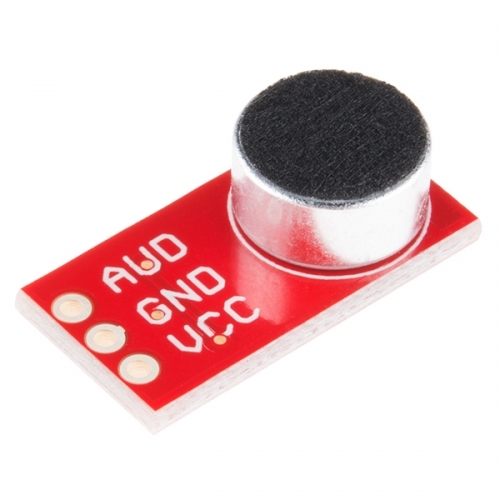 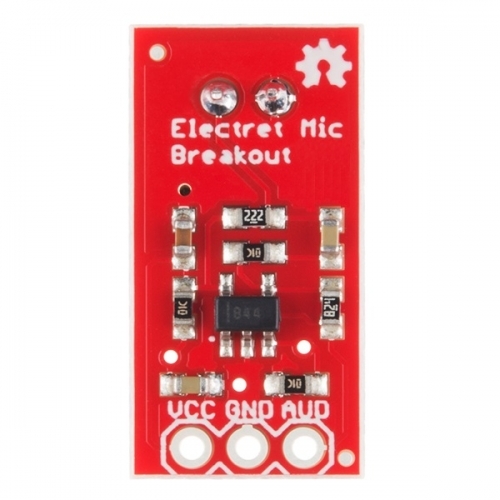 Description: This small breakout board couples an Electret microphone (100Hz–10kHz) with a 60x mic preamplifier to amplify the sounds of voice, claps, door knocks or any sounds loud enough to be picked up by a microcontroller’s analog-to-digital converter. Each breakout comes fully assembled and works from 2.7V up to 5.5V. 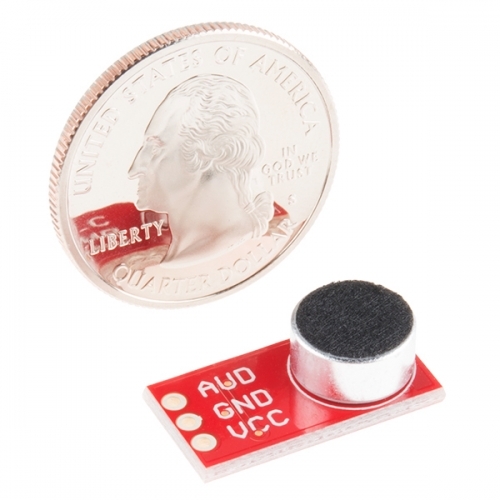 by capturing sound waves between two conducting plates (one a vibrating diaphragm and the other fixed) in the microphone and converting them into electrical waves. These electrical signals are then amplified and picked up by your microcontroller’s ADC.